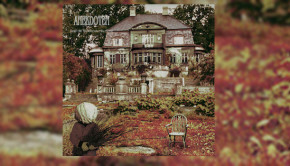 With the release of their new album, Until All the Ghosts are Gone (the TPA review of which can be found HERE), Anekdoten have ended the eight years of silence since their last studio album. 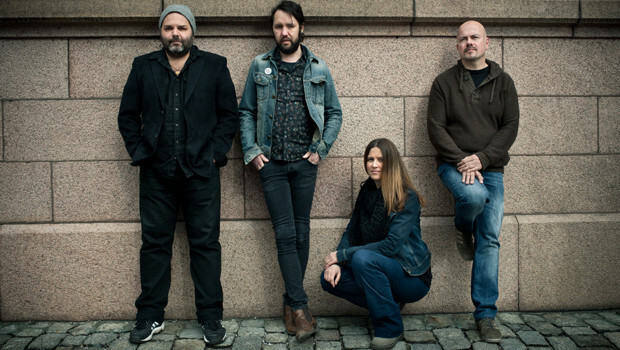 To accompany the review of the album, TPA’s Roger Trenwith spoke to bassist and singer Jan Erik Liljeström (far right in Tord Lindman’s photo, above) about the beginnings of the band, their individualistic sound and the new recording. How did you guys come together in the first place and, aside from King Crimson, what were your formative influences? I knew Nicklas and Peter from the time we went to high school. We all went to school in a small town called Borlänge in the middle of the 80’s and all the musicians knew each other. They were a few years younger than me and the first time we shared the same stage was at a heavy metal festival in 1984 where I played guitar and sang with a band called Älgskur and Nicklas and Peter played in a band called Metal Angels. Peter and Nicklas were only 14 or 15 years old at the time. A few years later I played guitar in a mildly progressive band called Kajuku with Per Wiberg, Stefan Dimle (Landberk, Morte Macabre, Paatos) and a drummer called Kaj Podgorski, while Nicklas and Peter played in a trio called Manson Family Band, who were inspired by Hendrix, Cream etc. Both Nicklas and me were obsessed by King Crimson in 1990 and at a party we were talking about starting a King Crimson-cover project. Nicklas had always played with Peter, so he was the obvious choice for drummer. We called ourselves King Edward and did one gig in May 1991. Anna Sofi attended the gig and later approached Nicklas and asked if she could start playing with us. We did our first rehearsal in August 1991 and I immediately sensed that something special happened when the four of us where playing together. We had been fooling around with some of our own ideas when Anna Sofi joined, but they soon turned into proper songs when we became a quartet. After a while we felt that the music we were making was good enough to get released, so then we started planning for what would become Vemod. How were King Edward received in the early live shows? We got a warm reception at our only gig, but King Edward only did Crimson-covers and this was something that we only did to see if it would be possible for us to do something as complex and strange. Once we’d done the gig we started concentrating on doing own material in a similar vein. Did you realise that King Edward is a variety of potato, great for making chips? Oh yes. I love chips and we thought it was silly enough for our little project. What is it about the sound of the Mellotron that makes it so appealing to you? When we started getting more into progressive rock in the middle of the 80’s we were intrigued by the sound. There was something majestical and magical about it. And the sound is quite hollow and not as thick as for example an organ, so it leaves space for the other instruments. Another good thing with it is that you don’t have to be an ace player to be a good Mellotronist. Nicklas was a guitarist and Anna Sofi was a cello player, but we wanted keyboards in our music and Mellotron was the perfect keyboard instrument for us as it wasn’t as demanding to play as an organ or a piano. What makes a great Anekdoten song? The songs that we tend to be most proud of are the ones where we can’t really see anyone else writing them. A good example on the new album is Shooting Star. It might come across as quite natural, but we had quite a hard time learning it as the time signatures change ever so often, so we had to come past counting and start feeling the song. It also has the element of surprise – it definitely sounds like Anekdoten, but you can’t really compare it to anything we’ve done before. Niklas writes the music and you write the lyrics – independently or together? Do the others make contributions? This is probably the record which has less musical involvement by the rest of us, but there are quite a few parts that have been worked out through jams in the rehearsal studio and the arrangements are by the band. In the beginning Nicklas wrote a few of the lyrics, but the routine for the last 15 years has been that I have written lyrics to Nicklas music. At what point are the Mellotrons included? All four of us are mostly present during rehearsals, so there are usually keyboard parts quite early in the process, but these tend to change when we are recording and there are quite a lot of experimenting going on with different keyboard sounds and ideas during the recording process. Eight years is a long time. Why the delay and when did you start seriously working on Until All the Ghosts are Gone? We have been rehearsing continuously during this period, but it was harder to commit to the recording process this time. There have been four Anekdoten babies born since A TIme Of Day in 2007 and this means that the logistics have become much more difficult. So we decided that instead of recording all the songs in one go we divided the recordings into two. The work started seriously when we went in to Atlantis Grammofon and recorded the basic tracks for If It All Comes Down To You, Until All The Ghosts Are Gone, Writing On The Wall and Our Days Are Numbered in May 2013. Then we continued working on these songs in our rehearsal studio and in various other locations. When these songs were almost completed we started rehearsing the remaining songs and after a while we returned to Atlantis and recorded Get Out Alive and Shooting Star. It took forever to get done, but at least it turned out nicely in the end. Good thing is that we have a few things that we haven’t put to tape yet, so we are closer to starting the next record than we usually are after having finished an album. The same lineup for almost a quarter of a century is quite an achievement, has it been easy? It must be difficult juggling the band with work and family commitments? It’s not always easy, but the secret behind the longevity is that the music is most often not at the center of our attention. Especially during these past years Anekdoten has been a place we fondly visited about once a week. So the continuity suffered, but we managed to stay together and in the end we reached good results. This has been the hardest album for us to make. It was always fun to return to the work, but it required a lot of patience from us, because things were moving forward so slowly. The sound this time seems slightly more expansive and the bass a little less up front. Was this something you actively went for? We really wanted to arrange the songs thoroughly this time, so there are more overdubs on Until All The Ghosts Are Gone than ever before. It wasn’t a conscious choice to have the guitars more upfront, but once we got to the mixing stage we felt that there was so much important riffing going on, so it was important that the electric guitar wasn’t buried in the mix. The influence is less pronounced these days but what are your favourite King Crimson tracks? Three Of A Perfect Pair, One Time, Cadence and Cascade, Islands, Larks’ Tongues In Aspic, Part II and Fallen Angel. There’s always a typical Swedish sense of melancholy in Anekdoten’s songs but there are some more upbeat moments on the new album. What’s changed? I don’t know. Maturity perhaps? Theo Travis adds his usual magic to Until All the Ghosts are Gone, how did he get involved? We haven’t met Theo in person yet, but we have had some correspondence with him since quite a few years. He told us that Steven Wilson has played From Within for him at some point in the past and that he got into our music through that. He said that he would love to guest on a few songs live if we ever came to play in London. This, as you know, is yet to happen, but when we felt that a few songs on the new album would benefit from a real flute player he was no.1 on our wish list. We contacted him and were thrilled that he agreed to help us out. His playing, especially on If It All Comes Down To You, is outstanding. So can us Anekdoten-deprived Brits expect a rescheduling of the cancelled 2011 gig? This is on top of our to-do list! I see that some festival dates have been announced for later this year. How easy is it to get the band out on the road? We only do a few gigs at a time because we can’t logistically do a proper tour at the moment, but hopefully we can do something like a two week tour in Europe next year. No doubt Opeth have been influenced by Anekdoten, what do you think of their recent forays into more prog related waters? I love the song Eternal Rains Will Come and Elysian Woes is also great. Heritage felt a bit disjointed at places, but I think they found their sound on Pale Communion. Shooting Star incorporates some sections which hint at Heritage, did using Per Wiberg influence this in any way? No. Nicklas had an idea that there should be a solo duel between organ and guitar in the song. Per is a really good old friend to all of us, he’s a great soloist and he also shares a rehearsal studio with us, so he was the obvious choice for the organ spot. The fact that he had been playing with Opeth had nothing to do with it. Your artwork is always unusual and open to interpretation. The artwork for Until All The Ghosts Are Gone is reminiscent of the treated colour photography pioneered by Keef in the early 70s, especially the first Black Sabbath album. A strong Hipgnosis influence can be detected in some of your earlier album covers. Presumably this is all in homage to the long-gone days when a gatefold sleeve with great artwork was an essential part of the package? Yes. When we had come up with the title Until All The Ghosts Are Gone for the album we started looking for places that would be suitable for a “haunted house” setting. We found the perfect location on an island outside Stockholm and when we got there to take the photos we definitely went into gatefold LP-mode. We are still waiting for the vinyl edition, but it should be great. We are old enough to feel that it isn’t until you hold the vinyl in your hand that you really have done an album. The vinyl is the ultimate edition for us. There is a possibly apocryphal tale that Anekdoten once loaned their Mellotron to Finnish Eurovision winners Lordi and never got it back! True or false? When Lordi won the Eurovision final we jokingly talked about spreading the false rumour that the female keyboard player of Lordi was in fact Anna Sofi, but to my knowledge this rumour never spread. What is true though, is that the Swedish band Pain Of Salvation who made it to the Swedish semi-final for the Eurovision contest used Nicklas’ Mellotron on stage (see the clip HERE). I recall once following a Spotify playlist you made up a few years ago. Your taste is satisfyingly eclectic! Do you listen to any of the newer bands currently changing the shape of progressive music? 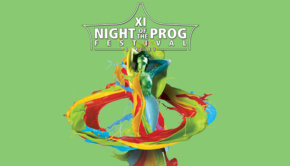 I listen to whatever comes to mind, but not so much prog I’m afraid. I’m more of a classic rock kind of guy. If I listen to prog it’s mostly the stuff that fall into the retro-prog bag. Finally, a token daft question to end with – Sweden is a land of long days in summer and long nights in winter. Which do you prefer? It would seem your lyrics are inspired by the latter. Summer is my favourite season, followed by autumn. Winter can be a drag, but it’s a good time for listening to good music. Thank you for taking the time to speak to us, much appreciated. Thank you, hope you find it interesting!